Big Chief LLC’s Exaggerator put in his final work for the $500,000 Claiborne Breeders’ Futurity (GI) on Oct. 3 at Keeneland going five furlongs in 1:01 with Brian Hernandez Jr. aboard. The homebred son of Curlin’s most recent outing was a victory in the Saratoga Special (GII) on Aug. 16. Clark compared Exaggerator to last year’s Breeders’ Cup Juvenile (GI) winner Texas Red. Also breezing from the Desormeaux barn on Saturday morning was Decked Out, who worked five furlongs in 1:01.40 in preparation for the $400,000 Alcibiades (GI) on Oct. 2 at Keeneland. Decked Out’s most recent start was in the Pocahontas (GII) where she was fifth beaten six lengths. Saturday’s work tab at Churchill Downs also featured Radar Racing LLC’s Rated R Superstar., who is eying the Breeders’ Futurity. The homebred son of Kodiak Kowboy went five furlongs in 1:01.80 with Calvin Borel up for trainer Kenny McPeek. Working in company with Rated R Superstar was stablemate Dothraki Queen. The Pocahontas winner owned by Magdalena Racing LLC went five furlongs in 1:03.80 with Corey Lanerie up in preparation for the Alcibiades. 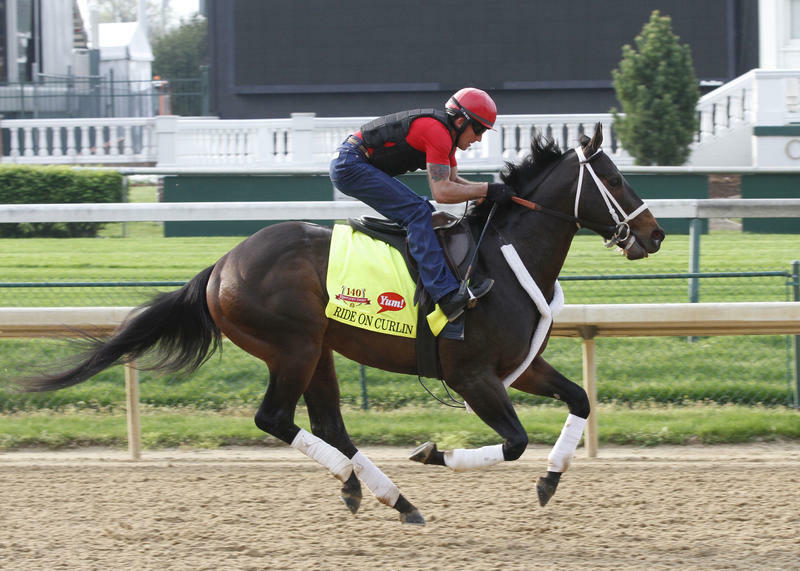 RIDE ON CURLIN RETURNS TO WORK TAB – Dan Dougherty’s Ride On Curlin returned to the work tab for the first time since a well-beaten ninth in the Alysheba (GII) on this year’s Kentucky Oaks undercard. The son of Curlin worked a bullet three furlongs in :35.60 for trainer William “Bronco Billy” Gowan. 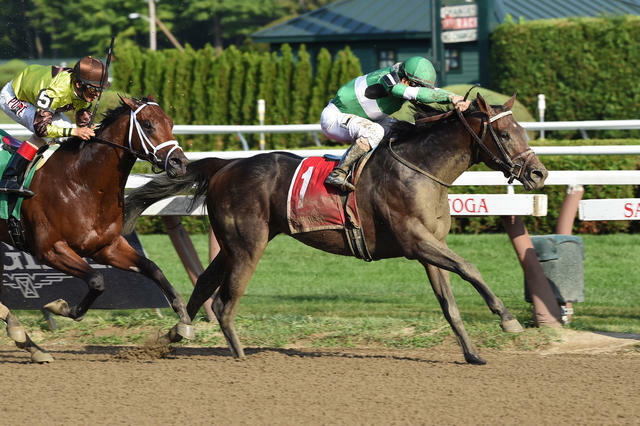 KEEN ICE GETS “EASY WEEK” BEFORE TRAINING FOR BREEDERS’ CUP – Donegal Racing’s Keen Ice took it easy this week, according to trainer Dale Romans, who decided not to breeze the Travers (GI) winner. 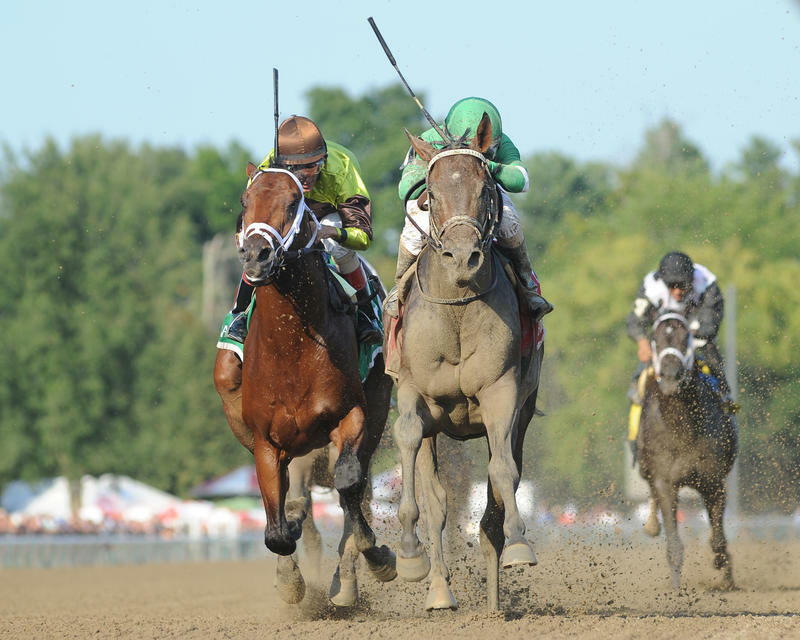 Prior to his Travers Stakes triumph, the homebred son of Curlin ran behind Triple Crown winner American Pharoah in the Haskell Invitational (GI) and the Belmont Stakes (GI) where he ran second and third, respectively. BACK TO WORK FOR PROMISE ME SILVER – Robert Lutrell’s Promise Me Silver returned to the work tab for the first time since a well-beaten 10th in the Prioress (GII) at Saratoga. The Texas-bred daughter of Silver City breezed a half-mile in :47.20 for trainer Bret Calhoun. 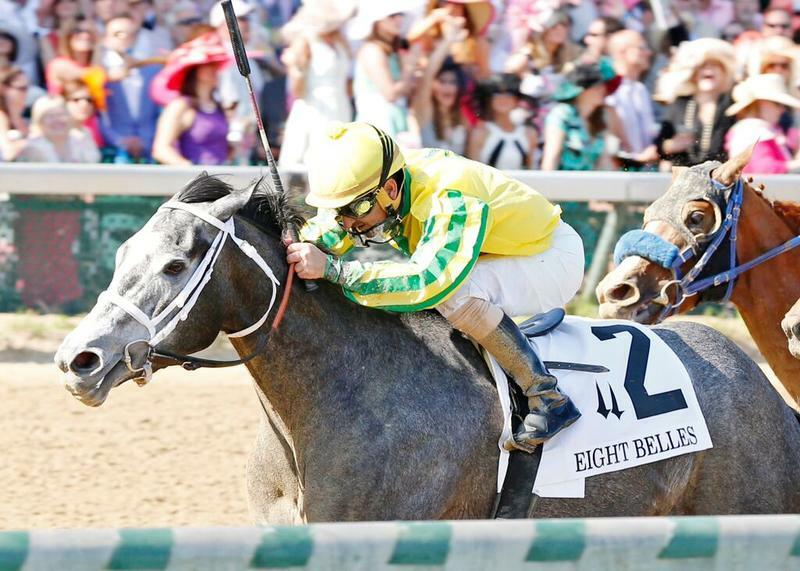 Calhoun does not have a spot targeted for the 3-year-old filly, who has not found the winner’s circle since a triumph in the Eight Belles (GIII) on this year’s Kentucky Oaks undercard. FAMILY ADVENTURE DAY SCHEDULED FOR SUNDAY’S SEPTEMBER MEET CLOSER – Presented by Kroger and in partnership with Kosair Children’s Hospital, Family Adventure Day will be held Sunday – closing day of Churchill Downs’ 11-date September Meet. While adults enjoy the final day of racing, the kiddos will relish numerous activities throughout the day including inflatables, a petting zoo and miniature pony rides, a video game truck, stick horse races, face painters, sidewalk chalk, corn hole, a hay maze and more. There also will be meet and greets with Churchill Downs’ mascot Churchill Charlie, the Kentucky Derby Museum’s resident miniature pony Winston and track bugler Steve Buttleman, plus a horse racing education station and special activities from Kosair geared toward taking care of your child’s mind, body and spirit. The popular Kona Ice Truck will be present, as well. Tickets for adults and children age 3 and up are $8 in advance online at ChurchillDowns.com or $10 at the gate on Sept. 27. One dollar of every event ticket will benefit Kosair Children’s Hospital. Family Adventure Day tickets include admission and access to the Courtyard (Section 119) for trackside viewing plus a wristband to access for all activities beneath the Grandstand Terrace. WHO’S THE CHAMP? HANDICAPPING CONTEST RETURNS SUNDAY – The last “Who’s the Champ? Handicapping Contest” of the September Meet is Sunday in Churchill Downs’ ITW area on the second floor of the Clubhouse. Bettors can enter for $35 ($30 for TSC Elite members) and are required to make mythical $2 Win/Place bets on Races 3-8. The highest bankroll will win a $1,000 cash voucher. Second place is a $500 voucher and third is a $250 voucher. Registration takes place Sunday between 11:30 a.m. and 1:30 p.m. at the top of the Gate 17 escalators.